An arrest warrant issued Wednesday names Anis Amri and lists him as a Tunisian citizen, born in the town of Ghaza. The wanted notice says he has used at least six aliases and three nationalities in the past and is considered armed and dangerous. 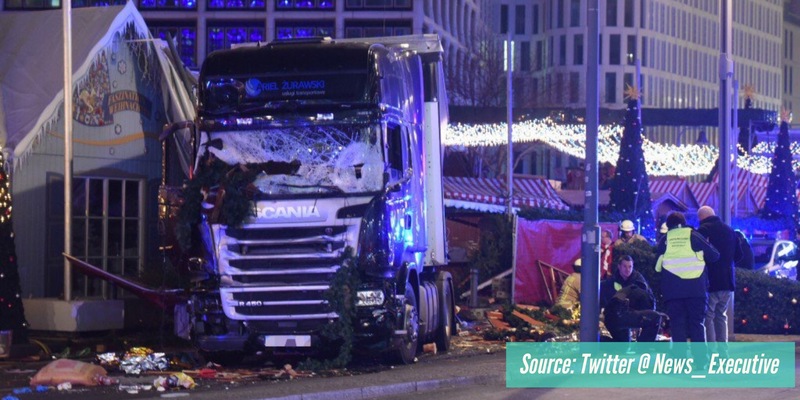 German authorities searched Wednesday for Anis Amri who they believe is responsible for driving a truck into a crowded Christmas market in Berlin, a day after releasing a man who was arrested shortly after the attack that killed 12 people. Berlin police say they have received more than 500 leads from a telephone tip line since the attack happened Monday. Islamic State has claimed the attack was carried out in response to its calls for people to target citizens of countries participating in the U.S.-led coalition seeking to destroy the militant group. Germany is not one of the country’s conducting airstrikes against Islamic State targets in Iraq and Syria, but has served in a support role including refueling and reconnaissance.